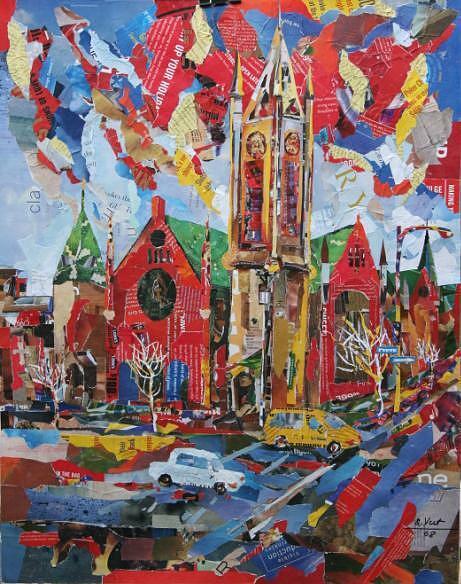 Former First United Church - Victoria Conservatory Of Music - is a mixed media by Viet Tran which was uploaded on January 13th, 2010. This original mixed media is currently for sale. At the present time, originals are not offered for sale through the Fine Art America secure checkout system. Please contact the artist directly to inquire about purchasing this original. Wow. Incredible work. I'm so glad to have found you! A beautiful interesting rendition! Great. Very nice work! Love your colors and the depth you've created in the piece! Fantastic painting Viet! Love it!